The urban farms sprouting up and across cities around the world aren't just feeding mouths—they are "critical to survival" and a "necessary adaptation" for developing regions and a changing climate, according to a new study. Urban farms—which include plain ol' allotments, indoor vertical farms and rooftop gardens nestled amongst busy streets and skyscrapers—have become increasingly popular and important as the world's population grows and more and more people move to cities. The United Nations predicts that by 2030, two-thirds of the world's population will be living in cities, with the urban population in developing countries doubling. That's a lot of mouths to feed. The new paper, published in the journal Earth's Future and led by the Arizona State University and Google, finds that this expected urban population boom will benefit from urban farming in multiple ways. As the Thomson Reuters Foundation explained from the study, "Urban farms could supply almost the entire recommended consumption of vegetables for city dwellers, while cutting food waste and reducing emissions from the transportation of agricultural products." According to the study, urban agriculture can help solve a host of urban environmental problems, from increasing vegetation cover (thus contributing to a decrease in the urban heat island intensity), improving the livability of cities, and providing enhanced food security to more than half of Earth's population. After analyzing multiple datasets in Google Earth Engine, the researchers calculated that the existing vegetation on urban farms around the world already provides some $33 billion annually in services from biocontrol, pollination, climate regulation and soil formation. 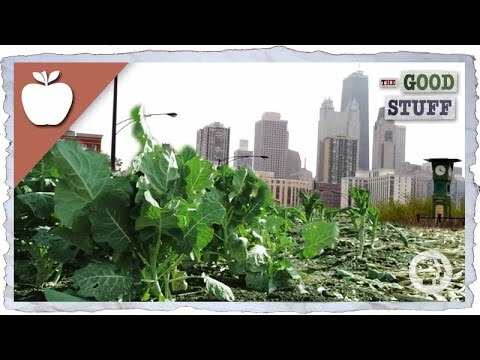 The future of urban agriculture has even more potential, the researchers found. "We project potential annual food production of 100–180 million tonnes, energy savings ranging from 14 to 15 billion kilowatt hours, nitrogen sequestration between 100,000 and 170,000 tonnes, and avoided storm water runoff between 45 and 57 billion cubic meters annually," the authors wrote. "In addition, we estimate that food production, nitrogen fixation, energy savings, pollination, climate regulation, soil formation and biological control of pests could be worth as much as $80–160 billion annually in a scenario of intense [urban agriculture] implementation." Others have praised urban farming for its many benefits. "Urban agriculture won't resolve all food production and distribution problems, but it could help take pressure off rural land while providing other advantages," wrote environmentalist Dr. David Suzuki. He cited an example of how one patch of Detroit land, where 12 vacant houses were removed to grow food, "has supplied almost 200,000 kilograms of produce for 2,000 local families, provided volunteer experience to 8,000 residents and brought the area new investment and increased safety." "Local and urban agriculture can also help reduce greenhouse gas emissions and recycle nutrient-rich food scraps, plant debris and other 'wastes,'" Suzuki continued. "Because maintaining lawns for little more than aesthetic value requires lots of water, energy for upkeep and often pesticides and fertilizers, converting them to food gardens makes sense." Writer and former Vancouver city councillor Peter Ladner also wrote in The Urban Food Revolution: Changing the Way We Feed Cities, "When urban agriculture flourishes, our children are healthier and smarter about what they eat, fewer people are hungry, more local jobs are created, local economies are stronger, our neighborhoods are greener and safer, and our communities are more inclusive."